PayPal has announced that it will again stop bank withdrawal in India from July 29, 2010. The paypal blog is updated with below message. In accordance with regulatory instructions, there will be a change in our withdrawal functionality in India starting on August 1, 2010. At present, you can request for either an electronic or cheque withdrawal of funds from your PayPal account. From July 29, 2010 onwards, you will only be able to request for a cheque withdrawal of funds from your PayPal account. You can get further updates from paypal here. PayPal had informed this message to all Indian users by sending email. And it mentioned that the $5 fees will be waived during this period. PayPal had already removed the Credit Card withdrawal few months back. So, now Cheque withdrawal is the only option for withdrawing money for Indian users. And, Xoom also stopped accepting the PayPal payment. It may take around 25 days (Cheque processing + Cheque postal delivery + Bank processing) for getting the funds in bank account. Few months back also PayPal had some issues with Indian bank withdrawals. PayPal had started again the electronic fund withdrawal to India Banks. In my previous post, I offered an opportunity to buy exclusive rights for our ArtsPoint Script. After seeing the Demo of the Artspoint script many people showed me interest to buy some general scripts which can drive traffic to their websites. Getting target website traffic is very important for any online business. Since most of businesses heavily depend on online advertisement, we can say that getting website traffic is essential for any business. So, in this post I will explain about an innovative script which can give more traffic to your website. We used to see lot of junk and black-hat approaches for getting millions of visitors within few days. If you need such a script please don't read further. This script is only for people who want to get target visitors to their websites without spamming the internet. For understanding about this approach or script you should know about the basics of SEO, Hottrends and Real-time search. Or, at least you should show interest to learn these things. And, it won't give the traffic within few days. Actually we started doing research/analysis about this approach at end of last year. And we are enhancing it continuously. We faced lot of difficulties and challenges while implementing it and we worked hard to resolve them. And, finally we are happy to see the result of our work. Our New Social bookmarking site powered by this innovative script is getting good Alexa ranking (65K) within 4 months time. Apart from this script, our Quiz, Easylearning and Forum also contributed some traffic. But major traffic is from this way only. Before trying to understand about our Script, know the below basic/universal facts. - People will come to your website if there is any advantage for them. The advantage can be useful content, attractive design, latest news, interesting things or any discount/offer for buying their desired goods/service. - Search engines such as Google face tough competition to get their share in the search engine usage. They very well know that people will use their service only when the search results are appropriate and useful for them. So, the search engines will be continuously updating their algorithms to block black-hat SEO. So, only way to bring your link in the search results is keeping your link useful for the users. 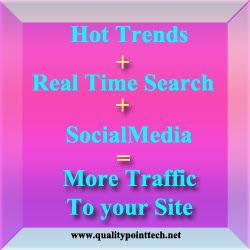 -In this Social networking era, people want to get real time update including the latest information in Search results. - And people tend to know/read the news which is being searched by large number of people at that time. We have developed this innovative script by keeping all these facts in our mind. As of now we haven't given any specific name for this script. Till giving name we can call this as innovative script. You can suggest any good name for this script. If you are our regular blog reader should have studied about SEO-friendly Url and getting good inbound links. This script should be used in addition to these basic SEO practices. Ok. Let me explain some basics of this approach. The core concept is automatically tweeting relevant hottrends news. But still this approach somewhat unique. Read further to understand it fully. - I have collected many number of RSS feeds from Technology blogs and Sites and merged them using Yahoo pipes. -I have created a php code and scheduled its execution using cron job to get the yahoo pipe output frequently and insert into our mysql tables to show in our site under Science and Technology Category. Similar steps will be done for other Twitter accounts except for few accounts which are dedicated for tweeting news related to hottrends and hottopics from Google page. The core concept is, showing hottrends news will be given priority by search engines (e.g real time search results of Google) and so they will be visible to many social news (e.g Tweets) which in turn will be promoted by search engines (e.g Top links in Google). i-e It will be cyclic or bootstrapping. But this bootstrapping requires some outside initial support. This outside support is given in the form of our own automatic tweeting from few twitter accounts. The additional advantage is your twitter account will also gain more followers. Because it will be displayed frequently in real-time search results of Google. Based on this fact, I am planning to expand our system further. i-e working on to provide a screen to allow our site members to set automatic tweeting of this hottrends news. It will give benefit for both of us. Again, everything should be done very carefully. As I said earlier no one will like spamming. It applies to search engines, social sites and people. There is more chance to be blocked by search engines and social sites if it is used wrongly. I think it looks something unique and needs to be maintained as secret. But still I am explaining everything public. The reason is simple. I know how much effort/work required to implement/tune this system even if you know the steps. You can easily buy this script by paying reasonable price instead of spending more time and effort to develop it from scratch. Our Team can support for any further enhancements. You can share thro' comments if you know any similar already existing system. Note that I am not having enough time to give Demo and explain everything individually. Please contact me if you really believe this script is worth for you. You can refer the feedjit of our site to know the working of this script for some extent. Note that I haven't put the feedjit script in all our pages for security reasons. And one more thing is, this script can not be installed by single click. We need to have some analysis about your requirement and existing sites and your expectations. So, it may need 1 or 2 days to complete the set-up once after you give your details. And, I don't want to sell this script to everyone. Especially I won't give to black-hat SEO people and spammers. And I won't sell it to big corporations also. Because it heavily rely on some third- party sites (yahoo and google). Their Terms won't allow this for major businesses. Anyway, I am having plan to make this script work without requiring the third-party sites in future by implementing our own indexing and our own hottrends algorithm. Unlike our previous script, I won't give exclusive rights for this script. Anyway I will be selling it to only limited number of people. So, if you are interested to buy this script you can send mail to me (rajamanickam.a@gmail.com) with below details. - Brief Summary of your plan for using this script. - LinkedIn or any social profile. - What level of technical help/support you need to use this script. And we are having lot of plans to improve it further (e.g releasing widgets)to make it more powerful. I will be happy to provide these updates for reasonable additional cost. If you want to use this script, you should have or should buy web hosting space with php/mysql and cron job support. And, know the limitations of this script. - Most of traffic from this script is temporary traffic only. i-e Same keyword which brings traffic today won't work tomorrow. Because it is based on real-time search. The hottrends topic will be changing continuously. - Script will need continuous enhancement, because the search engines and the social networking sites will be updating their algorithm continuously. - It should be used such that the traffic increases step by step. We should not expect any sudden increase in traffic. - As of now, it uses only US based hottrends provided by Google. You can subscript to our blog feed for knowing further developments. Just using hottrends news script alone is not so good. It should be used along with other interactive systems. i-e Hottrends script will bring people to our site, and we need to do something for engaging people with our site. So, we are using other systems such as Quiz, Easy Learning, Social bookmarking site, Finance News Reader, and Affiliate system for our product sales. For example, if a visitor comes to our site using this script we can give him options to vote/comment/bookmark that link. We are developing an algorithm for sorting the links based on many factors such as pagerank, time and votes. But it is not yet completed. We are still tuning it. And planning for other innovative things such as showing relevant links at the end of quiz based on score obtained in the Quiz. We are planning to use the links submitted in our social bookmarking site. 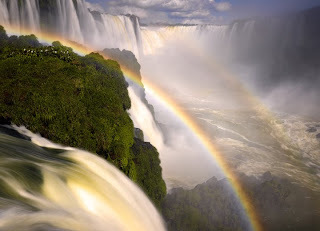 It will help to improve the Quiz while increasing our visibility of our Social Bookmarking links. We are having Admin module for moderating the submitted links..
Everything is inter-connected . i-e Our Forum login can be used as single sign-on (passport) for accessing all other systems. Still,we need to improve our site lot especially look & feel and navigation. I am planning to sell this script only to the actual user of this script. So if you are a Marketing Guy or an Affiliate Marketer, avoid contacting me for this script, instead you can get benefit by selling our other products. And, you can contact us for your website development and web programming requirements also. Are you a web master or a company looking for a script which can help you earn money either by showing advertisements or by providing paid service? If your answer is "yes", this blog post will be more useful for you. If you are our regular blog reader you should be knowing about our Arts Point Script development. We have completed development of all the modules and now planning to sell the script with full exclusive right. This "ArtsPoint" script is for connecting Promoters, Artists and Viewers of Live Music Events. Promoters can advertise about their Live music events in this application, and Artists can apply for any event of their choice. The promoters can choose suitable Artists for their Events. The viewers can search their favorite live music events easily. The Admin can manage Promoters , Artists and Events. You can download this document to know more about this script. So, if you are interested you can send your quotes/price to me. (rajamanickam.a@gmail.com). Or, if you need an innovative script for bringing more traffic you can read this post. If you are an Affiliate marketer, you can also contact me to know the attractive special referral offers for referring winning Quote. And you can participate in our regular Affiliate program also. I am providing exclusive rights selling offer for this artspoint product only. You are having different options for earning money from this script. One easy way is showing advertisements as this script will attract many visitors including artists and promoters. Even we can help you to do SEO marketing and any PPC marketing. Another way is you can make this service as paid service. Many promoters will be willing to pay some money to get good artists for their live music event and to advertise their events to viewers. Our Team can help you to include piece of code for making it paid service. And, even you can earn more money by selling this script if you buy the exclusive rights for this script. i-e we won't sell any other further copies if you buy the exclusive right. And, you can use opt-in form to gather email-ids from Event viewers for future marketing purpose. Also, it can be used as bridge site for promoting any other existing web site. Send your Quotes/Price for buying exclusive rights for this script. We can change the look and feel of the script according to your site design. And,our Team can help you to change the script according to your specific requirements. If you need any additional modules we can do it for reasonable additional cost. And, if you want Affiliate module for promoting the site we can do it free of cost. Hurry to make use of this opportunity. I will be closing this sales soon, because we are going to start our next script development. And, as of now I am not having any plan to sell exclusive rights of any other product. This is very basic version of the script. We can tune it further based on the specific requirements of the person who buys this script. Our Team can improve the look and feel further by getting inputs from the person who buys this script. And, our Team can assist to promote the site which uses this script. Our team can submit the url of the site into various bookmarking sites and directories. And, even we can use our Twitter accounts (More than 10 Accounts) and our own Social bookmarking site to promote the site to some level. And it can be promoted further by putting free phpbb Forum for discussing about the events. And, we can show relevant news by mashing-up RSS feeds of relevant news sources. If needed we can automatically tweet these news using twitter API. Actually using these technologies (i-e RSS Feeds ->Yahoo Pipes->Twitter API/cronjob) we were able to gain Good Alexa ranking (65K) for our site http://qualitypointtech.net/ which was started just 4 months back. Currently we have given the name "Arts Point" temporarily. We can change the name everywhere according the Buyer's wish. And, the Event need not be the "Live music Event". We can update the script if the buyer wants to use this script for any other Event (e.g Sports events). Since the database and coding flow are completely designed by our Team, they can easily make any further enhancements and corrections. So any further enhancements can be done cost effectively. You can contact us for any custom script development also. This sales is not yet closed. So, you can still send your quotes for getting this script so that you can start your own online business easily. We have changed our stategy of selling this script. Now we are planning sell this as a website ArtsPoint.net. This site includes this ArtsPoints script in addition to Quiz, Easy Learning, Blog, Forum and Social Bookmarking. You can send your quotes for buying this site. In one of our projects, we had to pass the html form data to new window. i-e On clicking the submit button in the form, the action page should open in the new pop-up window. Below code can be used for achieving this requirement. i-e we need to open new window with a specific name (e.g foo) on submitting the form. We have published our products sales page with nine products. We are working on to release more products in near future. You can safely buy all these products thro' paypal. One drawback is, you need to make two separate PayPal transactions if you want to buy two products. Initially I installed oscommerce shopping cart for allowing the users to buy multiple products using single transaction. But I dropped this option due to the fact that Buyers will be preferring to make payment from PayPal website than our website as we are relatively new to the online sales. Anyway, I will be running oscommerce shopping cart also in future once after gaining the trust of our customers, to help them reduce number of transactions when buying multiple products. And, our Affiliate module is almost done. I will be announcing more details soon. If you are willing to earn money by referring our products, you can watch this blog for knowing further details about our affiliate program. India's space agency ISRO successfully launched its Polar Satellite Launch Vehicle (PSLV) rocket with five satellites. PSLV -C15 was launched from Sriharikota‎, India. It put below 5 Satellites into the orbit. -.remote sensing satellite Cartosat-2B built by ISRO. This is the latest in the Indian remote sensing satellite series and the 17th in this series. -Studsat built by students of seven engineering colleges in Andhra Pradesh and Karnataka. -Two nano satellites from Canada and Switzerland. ISRO chairman K Radhakrishnan said, "We had an excellent flight. It injected precisely the five satellites. The entire ISRO team is behind the success". The Polar Satellite Launch Vehicle,usually known by its abbreviation PSLV is the first operational launch vehicle of ISRO. PSLV is capable of launching 1600 kg satellites in 620 km sun-synchronous polar orbit and 1050 kg satellite in geo-synchronous transfer orbit. In the standard configuration,it measures 44.4 m tall, with a lift off weight of 295 tonnes. PSLV has four stages using solid and liquid propulsion systems alternately. The first stage is one of the largest solid propellant boosters in the world and carries 139 tonnes of propellant. A cluster of six strap-ons attached to the first stage motor, four of which are ignited on the ground and two are air-lit. The reliability rate of PSLV has been superb. There had been 16 continuously successful flights of PSLV, till July 2010. With its variant configurations, PSLV has proved its multi-payload, multi-mission capability in a single launch and its geosynchronous launch capability. In the recent Chandrayaan-mission, another variant of PSLV with an extended version of strap-on motors, PSOM-XL, the payload haul was enhanced to 1750 kg in 620 km SSPO. PSLV has rightfully earned the status of workhorse launch vehicle of ISRO. Easy Learning Script- Another product for driving traffic to your website. We have created sales page for selling Easy learning Script which is a Card matching memory game. Currently we are selling it for 15$. It is developed using php & mysql. You can buy it from here. We are planning to release more products soon. And, working on to create affiliate program for increasing our sales by sharing the income with the referrals. And, I am working on to give attractive affiliate commissions. I will be giving the complete details in few days. We are providing online Quiz program in various subjects (e.g php, mysql, html, english, aptitude, etc). It helps us to get more visitors to our web site. And,this Quiz program is used for evaluating knowledge of a candidate also. Today I have created a sales page for allowing the people to buy this Quiz program. Introductory Offer price is 15$ only. You can buy it online to make use of this offer price. And you can contact me, if you want to develop any additional features. If you plan to buy this program after few days, you can bookmark the sales page using our social bookmarking feature. It can be done easily using our bookmarklet. You can read my previous posts if you want to know more about our Social bookmarking site and bookmarklet. You can contact me if you face any difficulty in using our bookmarklet. i-e Promoters can advertise about their Live music events in this application, and Artist can apply for any event of their choice. The promoters can choose suitable Artists for their Events. The viewers can search their favorite live music events easily. It is being developed in php and mysql which are free and open-sourced. Our Team has completed very initial version for this web application. Either you can register Artist or Promoter for viewing/testing this web application, or you can use below details for testing Artist and Promoter modules. Note that it is very initial version. We are working on to test it and fix the bugs. If you are interested to buy this application you can contact me (rajamanickam.a@gmail.com) with your bid or price details. Our Team is working on to prepare a web page which explains the complete features and flow of this application. I will provide those details once after completing our testing. And, we have planned to develop Admin module also. So, if you are willing to buy this web application, you can contact me immediately so that we can do any further developments/corrections based on your specific requirements. If you are regular reader of this blog, you should be knowing about our pricing approach. For my ebook about software testing and QTP Automation I set $5 as introductory offer and increased the price to 9$ after few days. Now we are selling this ebook for 12$. I am planning to follow the same pricing approach for this product also. So, you can save money if you buy it during introductory offer time itself. Read here the advantages of contacting us for doing any web development project. Feel free to contact me if you need any further details. You can see more details with screenshot in this help file. eBay Classified Ads useful for selling Digital products. We can not sell any digital products such as eBook directly on eBay.com website. But it provides other options such as eBay Classified Ads and Classifieds sites for advertising the digital products. Displaying advertisements in eBay Classifieds sites is Free. But it will be displayed only in specific location only. i-e similar to craiglist. In India eBay classifieds site is called as quickr. Using eBay Classified Ads we can advertise the digital products in "Everything Else" category. The insertion fees for showing this Classified Ads for 30 days is $9.95. I have created an advertisement for selling our Time Sheet and other products such as eBook in eBay. It seems eBay classifieds ads is better than PPC ads (e.g Google Adwords). Because the price for the advertisement will not be affected by the Fraud clicks. If you are using both Google Adwords and eBay Classified Ads, you can share your thoughts thro' the comment section. Below error message started showing two times whenever pasting any content in Dream Weaver file. ReferenceError: initialize is not defined"
By referring this forum post I deleted the file C:\Documents and Settings\\Application Data\Macromedia\Dreamweaver MX 2004\Configuration\FileCache.dat to solve this issue. Now this error message is not appearing. We are using open source php class FPDF for creating pdf file for exporting reports such as employees timesheet details in tabular format. The below sample code provided by fpdf.org is working fine if the the table cell is having content with small length. Otherwise the content of one cell will overlap with other cell content. By reading this article I came to know that we can use Multicell for wrapping the text either implicitly reaching at right border or explicitly by using '\n'. But, still I faced some issues as our requirement is somewhat different from the sample code mentioned in this article. I have tried different ways to make the height of the multicell uniform for all columns in the table. But it didn't help. I came to know that we can specify height only for the specific cell but not for the set of multiple cells used for creating one row of a table. So, the border were not displaying correctly even when the text wrap was working correctly when using MultiCell. So, I decided to use combination of both Cell and MultiCell. i-e Use Cell for designing the table structure without putting any actual data. And, use MultiCell to put data with wrap feature. In other words, combining both Cell and MultiCell to get benefit of both good alignment and word wrap feature. First I called Cell without specifying any data for creating a table structure with borders. Than Called SetXY for bringing back the cursor to the original position. And then called MultiCell for putting the data. Find below the final code which can be used to create tabular pdf reports with proper alignment and with word wrap feature. Limitation of this code is, we need to specify a fixed height ($yH) for the table row in this code. It is not possible to specify this height value if you don't have any clue about length of the dynamically generated text. In this case we need to add a piece of code to set the $yH value dynamically. i-e The code should measure the height of the cell for each column using GetY() method. i-e we need to find the difference by calling the GetY() before and after calling the MultiCell method. Then we need to find the largest $yH among all columns. This largest value should be used as $yH when actually creating the table. i-e We need to use the code two times, one time for finding the appropriate height and another time for creating table using the found height. If you know any simple way to achieve all these things you can share it thro' the comments. The above sample code will create issue if the pdf content grows more than one page. In this case we need to call addPage() for every page of the content. In our settings, each page hold 7 rows of data. So I have updated the code to call addPage() on every 7th row using modulo operator. And, we need to call at end of the all rows also in addition to call it at every 7th row. Now the code will look like this. Updates: Read my new post to know the updated code which can handle the first page properly. Around five months back I have analyzed about impact of iPad on Amazon Kindle. Majority of the people answered as "Don't know, It may kill Amazon Kindle after few years" for the question Will Apple iPad kill Amazon Kindle? And, most of the people wanted a product from Google as an alternate for both Amazon Kindle and iBook of Apple iPad. It looks like Amazon is taking below steps to save the Kindle. Amazon has reduced the price of Kindle DX e-reader from $489 to $379 and it has improved the display. It has released free application for reading Kindle books on Android phones. And, Amazon has provided 70% Royalty option for the Kindle publishers if the content is non-public domain content. It will be applicable for the sales to US customers only. And delivery charges will be reduced based on the size of the file. Read the pricing details from Amazon. To make use of this new option, I have updated the price for the kindle edition of our book about software testing and QTP automation.